As more senior living projects are built in densely populated areas, a sophisticated and more urban approach to design has emerged. 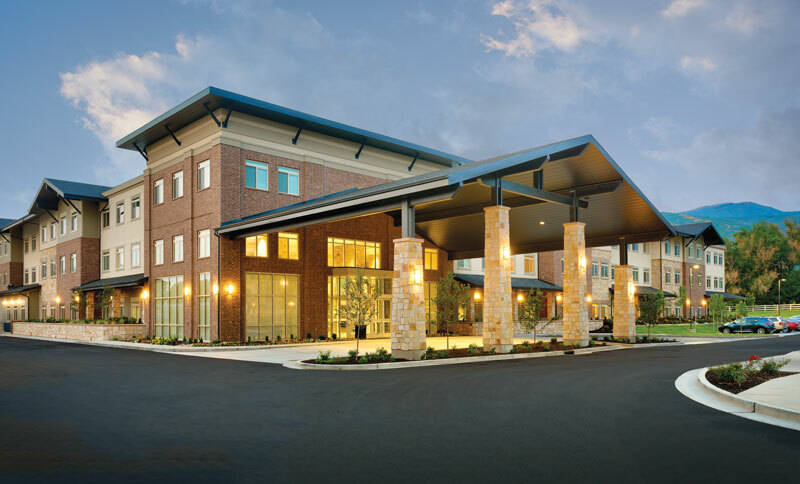 This year’s five Senior Living by Design winners showcase the latest best-in-class architecture that thoughtfully makes the most efficient use of space. Many of the designs echo the vertical elements of city life while still managing to create a homelike and comfortable atmosphere. 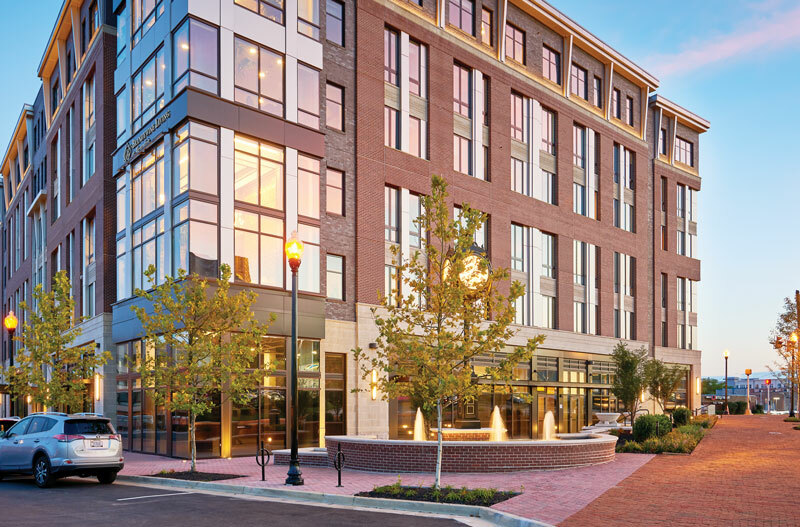 Brandywine Living at Alexandria showcases the company’s first urban design. The six-story project is situated in a mixed-use development in a dynamic neighborhood undergoing substantial redevelopment. Rich dark wood underscores the lobby’s elegant design. The four-story Evergreen Village at Bloomington is an affordable project that takes advantage of surrounding views. The slope of the site helped to create a walk-out lower level with a dining room, bistro, and covered wrap-around porch. Residents enjoy views of a walking trail, creek, and tree-covered hill. 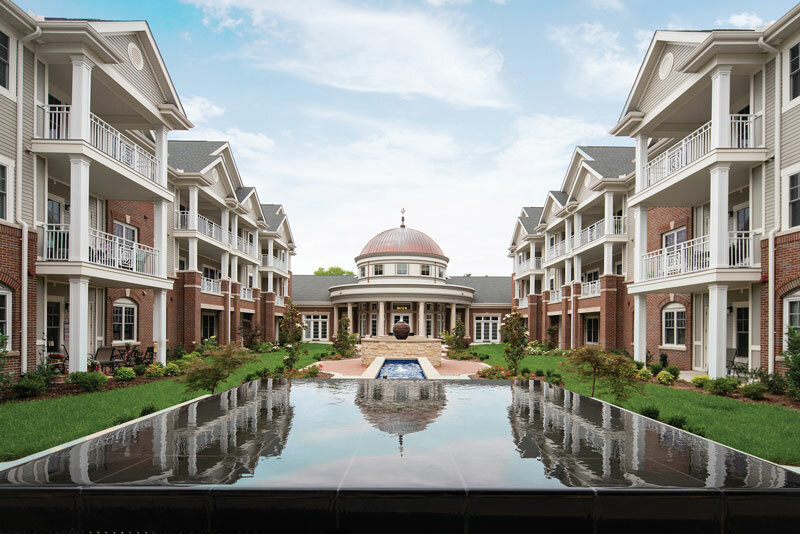 Creekside Senior Living was designed with three stories instead of two in order to maximize outdoor green space. A grand entry provides sweeping views of the nearby mountains. Big courtyards and rooftop terraces are a common design element—a nod to urban trends. A beautifully designed courtyard connects sections of the Meadow Active Lifestyle Community. The courtyard includes an infinity edge pool, water features, and comfortable seating areas. The award winning designs include an abundance of natural light. Big windows are carefully positioned to flood spaces with warmth. Brandywine at Alexandria features a corner light tower. Climbing six stories, the floor-to-ceiling glass windows on each floor overlook the city. Interior designs are clean and modern with soft colors that echo the local environment. Crestavilla in Southern California also takes its cues from the local surroundings but with a different result. The project makes a bold statement with its Spanish Colonial design and pops of bright red color—an acknowledgement of the area’s history. 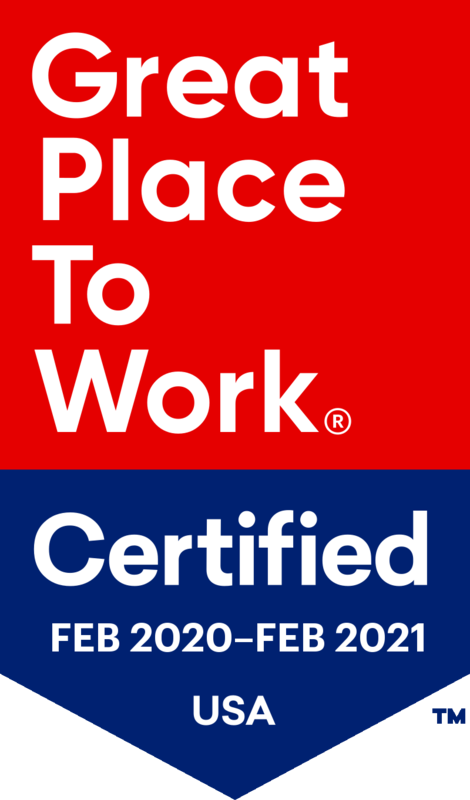 Sustainability and environmentally friendly construction has become a permanent component of senior living design with this round of award winning projects. 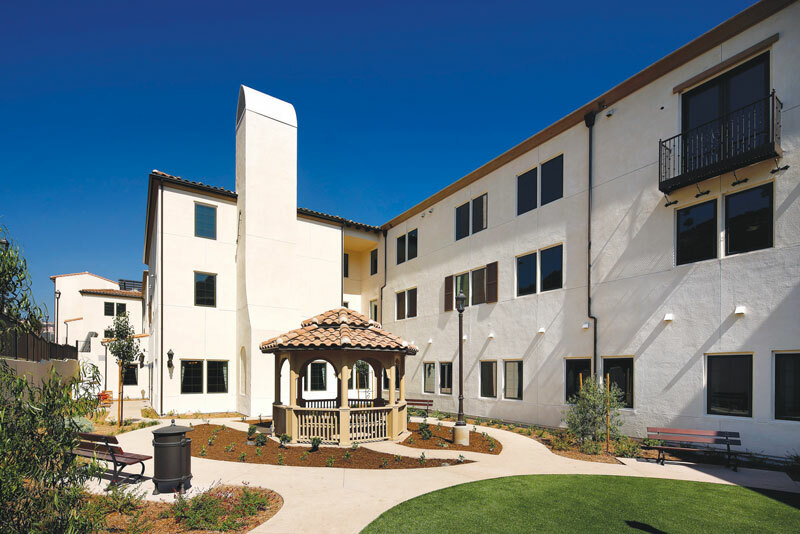 Evergreen Village at Bloomington used the savings from its efficient design to add sophisticated touches throughout the property such as high quality fixtures. 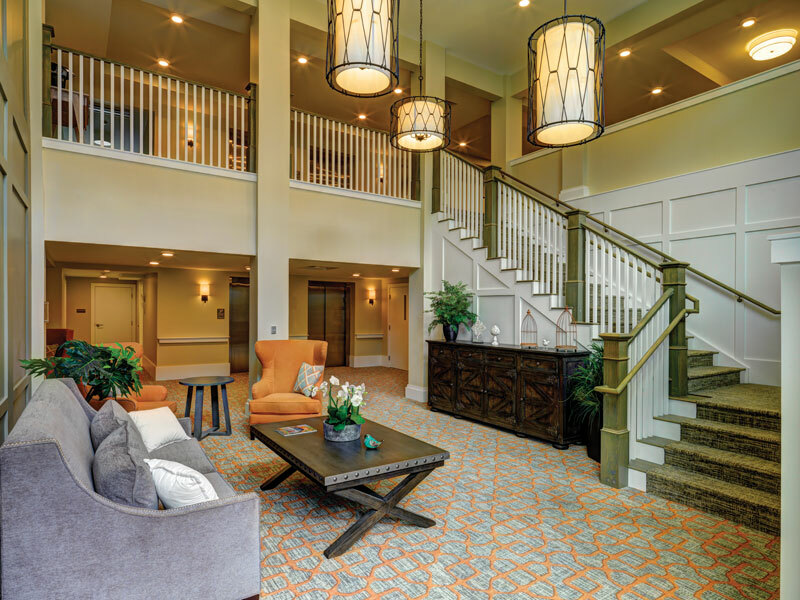 The 14 Senior Living by Design nominees repeat many of these trends, highlighting sophisticated designs that create community engagement and welcoming surroundings. Improved designs are on the rise for the next generation of residents.